Open Shoulder Dress and Top – PDF Sewing Pattern. Combination of Open Shoulder Dress and Open Shoulder Top. The design is not new, top was created last year and dress was created last Spring. Dolman style, suitable for knit fabrics. It’s a 21 page E-Book, instand download. To buy click on Etsy or Craftsy on the side border. Any question, please contact me. Yes! I have the sewing bug this week! I created this dress for my daughter’s doll “JLY” and this time I used Mckenna as a model. I just realized that Mckenna’s waist is one inch smaller than the other dolls. 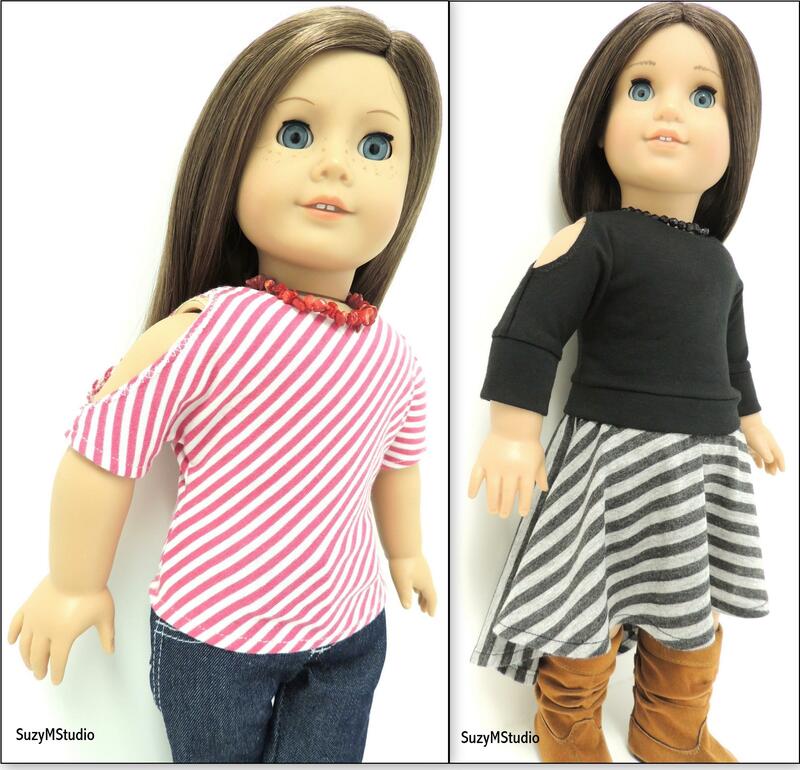 Well, American Dolls are getting thinner and now I need to make some adjustments on this pattern to fit on other dolls. 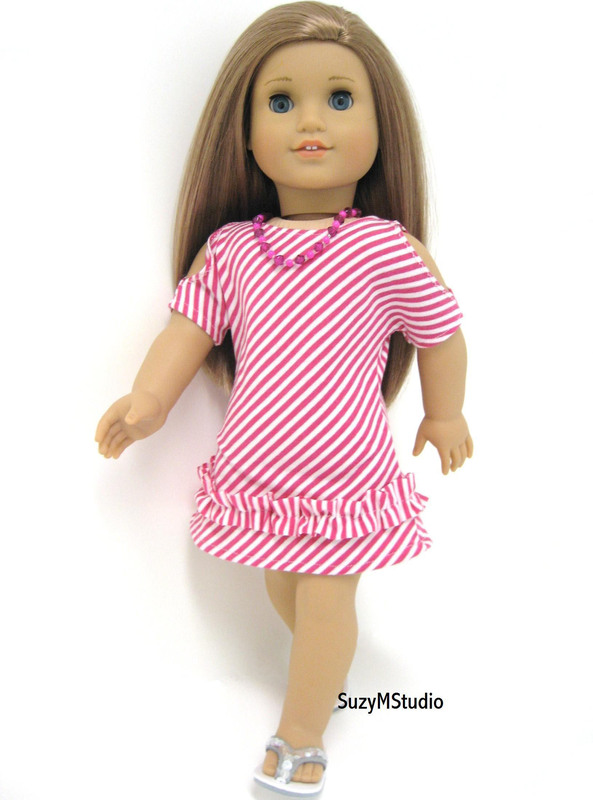 Do you think your doll would like to have this dress?